Elegant, sophisticated, accomplished, glamorous and hugely entertaining. 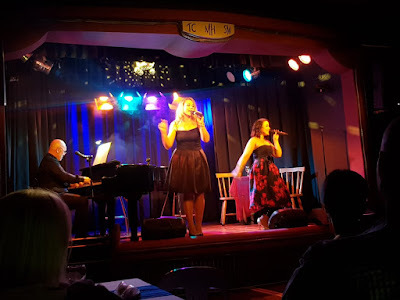 All superlatives, along with many others, which could be used to describe That’s Life, the delightful cabaret-styled show which is currently at the Rhumbelow Theatre in Umbilo. It is a show which oozes charm, vivacity, dynamism and talent. In fact, I would go as far as to say that it is one of the best productions that I have ever seen at a Rhumbelow Theatre. The trio of performers are a powerhouse combination. Samantha Landers is endearing. She is sassy and playful and has a silky and beautifully modulated voice. The impressive Shylo Pereira – the first time I have seen her perform, but I definitely hope not the last – is smouldering, imperious and passionate. She has a superbly versatile voice with an extraordinary range. Supporting them on piano, backing vocals, and a song or two of his own, is the elegant and consummate Evan Roberts. Together, they create a special kind of magic on stage. 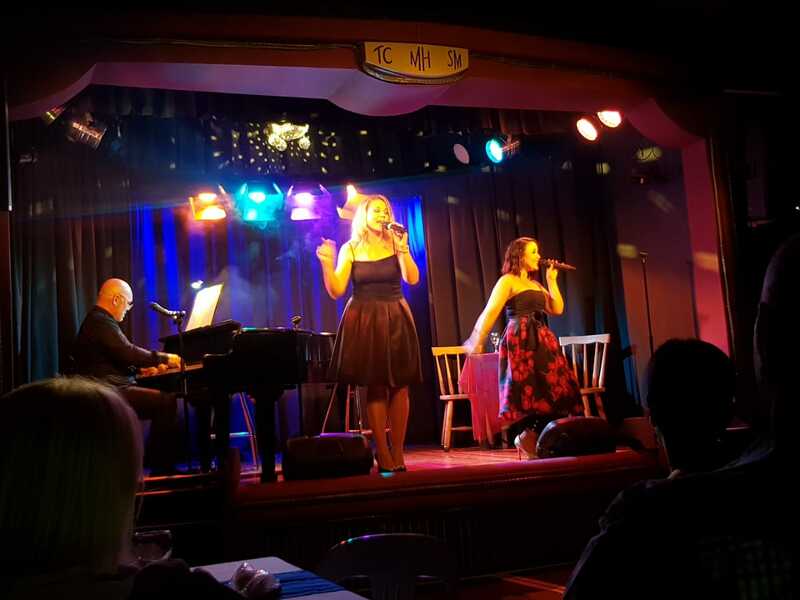 The music takes the audience on a journey through the life of womanhood and features a mix of show tunes and popular songs with a bit of a jazzy vibe and plenty of humour thrown in for good measure. The songs are performed either as solo numbers, or as duos with dazzling harmonising and are all well thought-out selections with meaningful lyrics. There are a few clever and innovative new arrangements of songs, such as Britney Spears, Oops! … I did it Again delivered in a jazzy style by Pereira, and Lander’s flirty version of Katie Perry’s I Kissed a Girl. They are very well done and, in my opinion, better than the originals. Other songs heard include the duo’s representation of George Michael’s Carless Whispers, Carole King’s You’ve Got A Friend, I Never Met a Wolf Who Didn’t Like To Howl from the musical series Smash, and the title song, Frank Sinatra’s That’s Life. Pereira impresses with Stephen Sondheim’s Losing My Mind and Brandi Carlile’s The Story while Landers is excellent with I’m Not That Girl from the musical Wicked and They Just Keep Moving The Line from Smash. Humour is provided by Popular, 15 Pounds (Away from My Love) and The Girl in 14G. Evan Roberts weighs in with heartfelt renditions of It’s A Man’s World and Pure Imagination, while the encore, Bridge Over Troubled Waters, sung by all three, is something to write home about. The simple set comprises a piano and a table with two chairs. The tasteful lighting design, a few strange follow-spot moments aside, suggests an intimate nightclub scene. Costume changes by the two girls are regular and they appear in a variety of very glamorous evening wear. There is a truism which states that “less is more”. This is certainly the case with this excellent production. It is uncomplicated and unpretentious, yet it delivers on all levels. This is intelligent, well-constructed theatre which more than deserved last night’s full house audience. The show runs from November 16 to 25, 2018, with performances from Fridays to Sundays. Fridays and Saturday shows at 20h00 and Sundays at 14h00. The venue opens 90 minutes before show for picnic dinner. Tickets R150 (R130 pensioners, students with a valid student card and tables of eight or more). Family Pack Pricing (R300 for two adults and two children free). Discounts apply 1st week ONLY.